…On the morning of his execution Eustache Bouteron, who had been kept locked up in a dark cell, was visited by a father confessor who mumbled some spiritual consolations which, however, had little effect on him. The confessor belonged to one of those families who, for the greater glory of their name, always make an abbot of one of their sons. His collar was embroidered, and he wore a smooth, tapering, perfumed beard, and a pair of muschios elegantly trimmed. His hair was curly, and he strove to talk in a mellow voice which woul sound affectionate. Seeing him so dandified and and superficial, Eustache found himself unable to drum up enough courage to confess. Instead he resolved to obtain God’s pardon by means of his own prayers. The priest gave him absolution, and then, to while away the two hours he would have to spend with the condemned man, he brought out a book entitled The Tears of the Penitent Soul; or The Sinner’s Return to God. 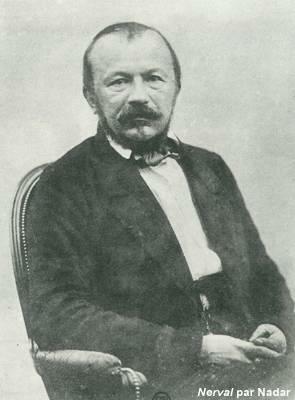 Eustache opened to the chapter on royal prerogatives and read remorsefully from the beginning: “Henry, King of France and Navarre, to my beloved, loyal subjects…” etc., down to the phrase “In these trials and wishing to treat favorably the said petitioner…” At this point he could not contain his tears and returned the book to the priest, saying how extremely touching it was and that he feared he would weaken if he read any more. Then the confessor drew from his pocket a very smart-looking deck of cards and proposed that his penitent play a few games. Thus the good priest took the liberty of winning from Eustache some money which Javotte had sent him to alleviate his wants. Eustache paid little attention to the game and seemed indifferent to his loss. We knew for a fact that when all was over and the executioner on his way home, Maitre Gonin peered out of a window of the Chateau Gaillard overlooking the square. Just then, although Eustache’s body was perfectly rigid and inanimate, his arm lifted up and his hand waved gleefully, like a dog’s tail in his master’s presence. This drew from the crowd a shout of consternation, and those who were leaving turned back hurriedly, like theatergoers who think the play is over, only to discover that a few acts are still to come. The executioner put back the ladder, climbed up, and touched the feet of the hanged man. He felt the pulse of the ankles. There was no throbbing. Just to make sure, he severed an artery, but no blood flowed and the arm continued to shake wildly. Thye executioner was not the kind of fellow who frightens easily: he climbed up on the shoulders of his victim amid the public outcry. The hand irreverently stroked the executioner’s pimply face. Indignantly he whipped out a big knife which he always carried under his coat and cut off the bewitched hand with two clean-cut slashes. The hand gave an amazing leap and fell, bloodstained, in the middle of the crowd, which dispersed, terrified. Then, sauntering along, thanks to the elasticity of the fingers and to the path opened for it by everyone, it soon found itself at the foot of the little tower of the Chateau Gaillard. Next, the hand climbed up by its fingers, like a crab, along the rough, cracked walls and reached the window sill where Maitre Gonin was waiting for it.